In this essay I seek to argue in a brief but I hope also concise way, for a radical rethinking of what Medard Boss, in his magnum opus, called ‘The Existential Foundations of Medicine and Psychology’. In doing so I shall also question and rethink the central Heideggerian notion of Dasein. What follows is in no way intended to diminish the groundbreaking nature of Medard Boss’s work or that which rendered it so fertile – the seminal thinking of Martin Heidegger. Instead my project is to bring out the profound and radical essence of this thinking in terms which make ‘The Foundations of Existential Medicine’ clearer, more accessible and more powerful in their potential impact on medical practice. Keywords: Dasein, Gewahrsein, Daseinsanalysis, Gewahrseinsanalysis, the Open, the Clearing, The Awareness Principle, The Being Principle, pure awareness, subjectivity without a subject, Heidegger and Indian thought, existential medicine, non-causal etiology, field-phenomenology, the metaphorical body, organs and capacities, the nature of self-awareness, the felt body, bodily awareness and unawareness, whole-body awareness, the It (das Es) and the ego. The heart of this aricle is already indicated by its subtitle – from Daseinsanalysis to Gewahrseinsanalysis. The term Dasein speaks of existence, of the nature of human existing in particular and of the human being as that being whose own Being is itself an issue or question. The term Gewahrsein derives from the German Gewahren – which I see as the most appropriate translation of what, in my own writings, I deliberately term ‘awareness’ – not as a synonym for but rather in clear distinction to conventional concepts of ‘consciousness’. The principal thesis I wish to argue – one from which a variety of further reflections on the ‘Existential Foundations of Medicine and Psychology’ will follow – is that the critique of conventional psychological notions of subjectivity and consciousness presented by Martin Heidegger and echoed by Medard Boss is one which takes as given the very same basic metaphysical assumption that is, paradoxically, the very target of that critique. This is the characteristically Western metaphysical assumption that consciousness or subjectivity is necessarily the ‘possession’ of localised ‘subjects’ – their private property – or else a product of what is essentially nothing more than a particular perceptual ‘object’ of consciousness itself – the human brain. What however, are these ‘intangible capacities for receiving-perceiving’ if not subjective capacities of a sort that not only cannot be objectified, but also need not be reduced to the property or product, faculty or function of a localised, punctiform or boxlike ‘psyche, subject, person, ego or consciousness’? Boss writes of the need to ‘… explode the myths of psychologism and subjectivism’. Yet the chief myth in question is precisely the identification of subjectivity as such with localised ‘subjects’ or an encapsulated ‘psyche’. Like Heidegger, Boss seeks to counter this myth with a specific notion of human ‘existence’ characterised by its ‘worldwide openness’ – that primordial ‘Clearing’ which Heidegger called ‘the Open’. The question is whether the ‘Clearing’ or ‘Open’ is essentially an ‘objective’ spatio-temporal dimension of ‘existence’ – of beings – or rather a non-local or ‘field’ dimension of subjectivity as such. For this is precisely what is implied by referring to the Clearing as that within which subjective capacities for ‘receiving-perceiving’ first open up. It is subjectivity itself, understood in its non-local or ‘field’ character (Feldung) and ‘as a worldwide realm of openness’ (Boss) that I call ‘awareness’ – Gewahren or Gewahrsein – in contrast not only to a ‘consciousness’ seen as belonging to a localised subject but also to any de-subjectified understanding of ‘existence’ as Da-sein. When Boss speaks of ‘all the phenomena that have until now been inexplicably misinterpreted as the possessions, faculties or functions of a hypothesised boxlike psyche’ what is ‘inexplicable’ is inexplicable only within the context of the Western metaphysical tradition. In Indian thought on the other hand, what Heidegger refers to as ‘pure’ capacities for receiving-perceiving has long had a name – namely ‘pure awareness’ (Sanskrit Chit ). In the philosophical tradition known as Kashmir Shaivism the open and spacious realm of pure awareness is understood as bearing within it boundless ‘potentialities’ or ‘capacities’ for receiving, perceiving, acting and responding. These are known as Shaktis, a term deriving from the Sanskrit root shak – meaning ‘potentiality’ or ‘capacity’). Yet they are understood precisely as potentialities and capacities of awareness or subjectivity as such – and not of any existing being or beings, let alone any possible ‘object’ of consciousness such as the brain. Understood in its universal nature, consciousness, as pure awareness is not in need of any philosophical, psychological or scientific explanation. It is not even in need of any ‘phenomenological’ explanation – for it is the a priori condition or ‘field condition’ for both the emergence and experience of any phenomena whatsoever. A radical rethinking, not only of Existential Medicine but also of Heideggerian understandings of ‘existence’ and ‘being’ themselves, must, I believe, begin with the recognition of an apodictic principle that I call ‘The Awareness Principle’. This is the recognition that awareness as such cannot – in principle – be reduced to the property or product of any phenomenon we are or can be conscious or aware of. There is an implicit – but by no means explicit – recognition of this principle in Heidegger’s thinking itself. For he speaks of Dasein also as that entity ‘distinguished by the fact that, in its very Being, that Being is an issue for it’ which ‘means further that there is some way in which Dasein understands itself in its Being…’, and in which its Being is essentially constituted by this very ‘understanding’. In terms of The Awareness Principle, this account of Dasein can be reformulated as follows: the foundation of human ‘existing’ or ‘being’ is an awareness of existing and an awareness of being. For even to speak of Dasein as that being for whom its Being is a ‘issue’ or ‘question’ implies an awareness of that issue or question. The Awareness Principle (in contrast to what might be termed ‘The Being Principle’) is the recognition that we know that we are only through a primordial awareness of being or Seinsgewahren. In this sense, we only truly are through and by virtue of that primordial awareness. From the perspective of The Awareness Principle or Gewahrensprinzip, our very existence or Dasein is therefore essentially a being aware or Gewahrsein. Conversely, all dimensions, limitations, capacities and confinements of existence are essentially dimensions, limitation or confinements of awareness as such – for example its dimensions of spatiality and temporarily, its capacity to word and world itself, and – last but not least, to individualise itself in the form of beings and to body forth its own potentials through them. With regard specifically to the spatiality of human existence Boss writes that: ‘A human being ‘can conduct himself towards the openness, the clearnesss of the world’s spatiality, because his being, too, is fundamentally openness…’ and that ‘Human existence does not possess this openness … but is nothing other than being open for perceiving and understanding the things it encounters…’. This is but one example of what I see as the use of ‘ontological’ language by Boss and Heidegger in a way that seeks to keep apart and yet at the same time conflates objective or ‘ontic’ dimensions of existence – in this case of ‘space’ and ‘spatiality’ – with their phenomenological dimension, their lived, subjective dimension as an openness ‘for perceiving and understanding’. Thus to speak of an essential ‘being open’ of the human being actually evades Heidegger’s own fundamental question of the nature of human being by defining it as an openness of being. A far clearer, less circularly intractable and esoteric understanding would ask what it is that unites ‘the openness, the clearness of the world’s spatiality’ with the human being’s essential openness of being. A phenomenological answer would be namely that both the essential openness of space and the essential openness of human being or Da-sein are expressions of the unbounded openness and spatiality of awareness or subjectivity itself – not just an openness to what can be perceived within that spacious openness. Space and spatiality as such, in other words, are to be understood phenomenologically as subjective in their very essence – as dimensions of pure awareness in its unbounded openness and not as objective dimensions of a worldly or ‘physical’ reality. For were space not essentially a dimension of awareness or subjectivity it could not have the character of Da-sein so much emphasised by both Heidegger and Boss – allowing us to be ‘there’ where things are, and not confined in our bodyhood to a ‘here’ from which we merely look out as subjects through the peepholes of the senses, observing or perceiving things ‘out there’ – including the openness of empty space itself – as mere ‘objects’ of consciousness. (1) Awareness is everything – that far from being a punctiform ‘subject’ or capsule-like psyche enclosed ‘inside’ us, from a phenomenological perspective there is and can be nothing outside awareness. This does not imply solipsism, unless we assume that awareness is the private property of localised subjects rather than having the nature of a universal space or non-local field of subjectivity. (2) Every existing being or entity, including seemingly ‘inanimate’ bodies, is an awareness. By this I mean that it is an individualised portion and expression of a universal awareness – one that is not the private property of any being or the product of any body but is instead the source of all beings and bodies – of all that is. ‘Every appearance owes its existence to the light of awareness. Heidegger, Phenomenology and Indian Thought (Wilberg, P. 2007) explores this relation through Heidegger’s ‘Conversations on a Country Path’ and the notion of ‘meditative thinking’ introduced in his Memorial Address in honour of Conradin Kreuzer – published in translation together under the title Discourse on Thinking, with an introduction by John M. Anderson. Awareness or subjectivity understood and explored in its field-character is the foundation of what I term ‘field-phenomenology’ or ‘field-phenomenological science’ – that science which I see as offering a fundamentally new foundation for Existential Medicine, specifically through a new understanding of Dasein as Gewahrsein. Revealing the essence of Dasein as Gewahrsein does not negate but clarifies the nature of both ‘awareness’ and ‘being’. It does so precisely by overcoming – in principle – the Western metaphysical assumption that ‘awareness’ or ‘subjectivity’ can in any way be a mere property of localised ‘subjects’ of consciousness or a mere product of localised ‘objects’ of consciousness such as the brain – bounded or enclosed by the body and contingent on its organs and the functioning of their capacities. For as Heidegger emphasised – and seems to have understand in a far deeper way even than Medard Boss – it is not organs that ‘have’ capacities but rather capacities that body themselves forth as organs – something of profound significance in rethinking ‘The Foundations of Existential Medicine’ in a way that goes beyond Boss’s own work on ‘The Existential Foundations of Medicine and Psychology’. For in its very title this work raises a central question, namely that if an existential or Daseinsanalytic approach to illness genuinely transcends the metaphysical separation of of soma and psyche, body and mind, medicine and psychology – whence the need for an ‘and’ in the title, aside from what seems to be Boss’s overriding interest in psychology, psychiatry and the critique of psychoanalysis. Existential Foundations of Medicine and Psychology is and remains a groundbreaking model for the existential analysis of medical conditions. His analyses of the highly individual meaning of specific symptoms or diseases, exemplified by a richly detailed case story, show immense and profoundly human depths of existential insight. Yet despite his repeated affirmation that true healing can only come about through such insight, he nevertheless ends up presenting ‘Existential Medicine’ and ‘Existential Therapy’ merely as an indispensible complement to Biomedicine and its ‘treatments’ – rather than as a radical alternative to them. The words I have underlined in this comment by Stern and others that follow seem to me to be particularly apt and significant. For despite the countless ‘correlations’ that Boss shows in his book between illness and the individual’s being-in-the-world, his emphasis is principally on the how the former ‘affects’ the latter; how it confines their existential life-world and diminishes the capacities and potentials they can exercise and fulfil within it. Hence the need for biomedical intervention, to ‘also’ be ‘followed’ by an existential ‘process’ if the individual is to be ‘truly cured’. Behind Boss’s emphasis on the complementary or ‘follow on’ need for an existential understanding of illness lies his relation to the question of the etiology of illness. For at no point does Boss definitively come down on the side of an existential understanding of illness which recognises not only how it ‘affects’, ‘impairs’ or ‘correlates’ with an individual’s confined or distorted mode of being-in-the-world but also has its origin in it. So even whilst fully recognising the ‘limitations’ of causal-genetic accounts of illness and the way in which, through them, biomedicine reduces bodyhood to a mere physical object (both in theory and in medical practice) Boss nevertheless affirms ‘its unique capacity for discovering new chemo-physical therapies’ and even speaks of their ‘unprecedented success’. Here Boss ignores what is in fact the immense harm done by biomedical treatments, surgery and drugs – whose illness-inducing or illness-worsening ‘side-effects’ have turned them into the fourth leading cause of death. It also ignores the immense profitability of such treatments for the corporate health industry, not least those giant pharmaceutical corporations who have a vast vested interest in actually creating whole new disease categories, whose profits are spent less on research than on the most aggressive forms of lobbying, marketing and the promotion of new ‘wonder drugs’ – trialled for the most part principally by institutions and ‘experts’ funded by those same corporations. This state of affairs will continue unless an alternative etiology of illness is presented that fundamentally challenges not only the ‘causal-genetic’ model of illness and its etiology, but also the health-damaging ‘treatments’ that result from it. 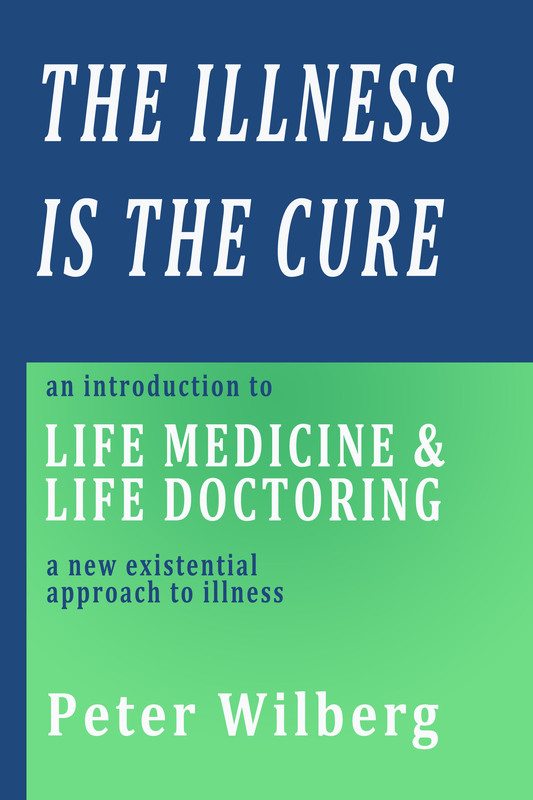 The great accomplishment of Ivan Illich’s book Medical Nemesis – The Expropriation of Health was to ruthlessly expose the ever-growing epidemic of ‘iatrogenic’ illness – illness that has its etiology in biomedical physicians and treatments themselves. Boss’s greatest limitation on the other hand, lies in not locating the very origins or etiology of illness in its existential meaning. To do so does not imply or require any questionable concept of ‘psychogenic’ or ‘psychosomatic’ causation’. Instead all it requires is an understanding of the human body as a living biological language of the human being rather than as a biological machine – or a biological computer for processing genetic-molecular ‘information’. This hermeneutic alternative to causal-genetic etiologies (including those which reduce the ‘language’ of the body to its genetic structure and the passage of molecular ‘information’) may be called a ‘meaning expressive’ or ‘soma-semiotic’. Within such a model, existential meanings are seen as finding expression in illnesses rather than ‘causing’ them. Causality and expression have, in principle, a quite different character. For meanings no more determine or ‘cause’ their expression in a specific illness than they ‘cause’ their expression in specific words and no other. Hence the same existential meaning and life-situation can just as well find life expression in words or deeds, a work of literature or art, or in a change of job or environment, as in the language of illness. 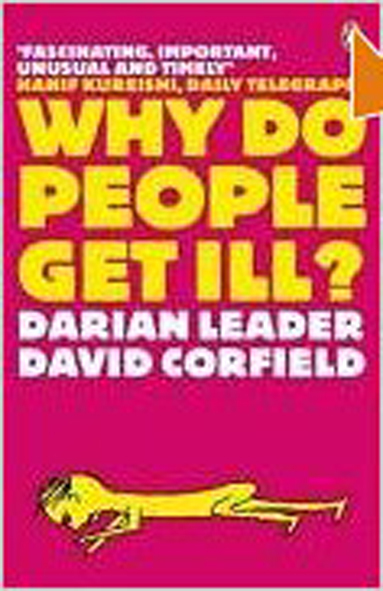 Illness as a language is characterised above all by its metaphoricity. Thus behind ‘heart disease’ can be any number of moods or modes of awareness of the sort that ordinary language indicates by expressions such as ‘loss of heart’ and ‘disheartenment’, ‘heartlessness’ or ‘cold-heartedness’, ‘a wounded heart’ etc. Thus it is that a decisive ‘change of heart’ on the part of a patient – whether in the form of an ‘opening of the heart’ or a ‘strengthening of heart’ – can not only prevent but also undo the dangers of heart damage. Above all it can avoid both the necessity and dangers of surgically removing an old heart and transplanting a new heart into someone in danger of ‘heart failure’ i.e., someone whose dis-ease is not essentially any biological disease or disorder of the heart but rather an existential ‘loss of heart’. It cannot be sufficiently emphasised here that it is not the linguistic expression ‘loss of heart’ that is the ‘metaphor’, but rather the body itself – which becomes, through heart disease, a biological metaphor of an existential dis-ease, its fleshly expression and embodiment. In general hermeneutic terms, no text can ever give full expression to its larger existential context of emergence. This hermeneutic principle applies as much to the fleshly text of the body as to literary texts, preventing any reductive interpretation of its meaning of a sort that ignores its context of emergence, in particular the specific point in time at which symptoms first manifest, the existential circumstances and events preceding their emergence, and the present and futural significance – what they may force or prevent the individual from doing (often to their benefit). 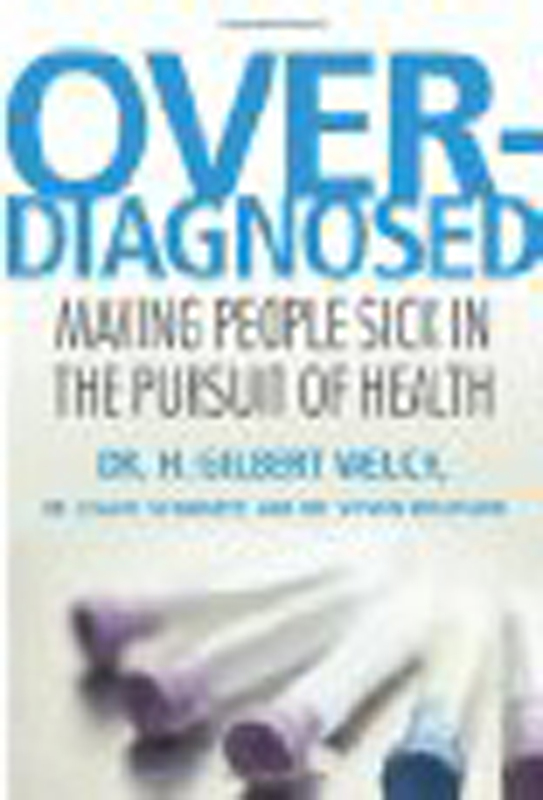 The preventative character of illness itself often lies in forcing the individual to give more time to be aware of their bodies and life as a whole, and in preventing them from over-exercising certain potentials and capacities at the expense of others, not least through economic pressures and demands, or cultural fads such as bodybuilding. Boss, on the other hand, writes exclusively of illnesses as ‘modes of impairment of the bodying forth of human existence’. On the other hand, he recognises very well how simplistic concepts of ‘causation’ have been gradually replaced by metaphors drawn from language and communication – in particular through so-called ‘information theory’ and models of cellular ‘communication’ through molecular ‘information’. And his own critique of these models and their language is both profound and cogent, as shown by his comments on ‘hereditary’ disorders such as colour blindness. Thus he points out that the colour-blind individual: “cannot respond to the meanings ‘red’ and ‘green’. Yet the potentiality in understanding ‘red’ for what it is cannot be understood on the basis of any molecular structure.” It is precisely such insights (not to mention the enormous significance of language in Heidegger’s thinking) that make it all the more difficult to understand why it was that Boss failed to articulate a comprehensive new existential understanding of the human body itself as a living language of the human being. Just as significant is Boss’s failure to acknowledge the full implications of Heidegger’s understanding of bodily organs and their capacities – namely that it is not the organs that ‘have’ capacities but rather capacities that body themselves forth as organs. For Boss on the other hand, organic incapacities due to illness or injury merely result in an ‘impairment’ of existential capacities – implying that the latter have their basis in organic capacities rather than the other way round. More fundamentally, given that both Boss and Heidegger regard ‘capacities for receiving-perceiving’ as fundamental and indeed definitive of human existing or Da-sein as such, the question arises as to the essential nature of these fundamental ‘existential’ capacities, which precicsely as capacities for receptively ‘perceiving’ are clearly capacities of awareness – in other words subjective capacities rather than ‘organic’ or ‘ontological’ ones. I would argue however, that this hope can only be fulfilled on the basis of a radical rethinking of the relationship of ‘phenomenology’ and ‘ontology’ of a sort which gives birth both to a Gewahrseinsanalytic phenomenology and with it, a Gewahrseinsanalytic ‘ontology’ of human existing or Da-sein itself. This rethinking – understood as a turn from what can be termed ‘The Being Principle’ or Seinsprinzip to what I call ‘The Awareness Principle’ or Gewahrensprinzip – is decisive, not just for medical philosophy but for medical practice. How it is so is spelled out in my other writings and books on this subject. All these emphasise the decisive importance to health of keeping oneself open – in all life situations – to a subjective, felt awareness of our body as a whole, and with it an awareness of the open space of awareness surrounding our bodies and of the other bodies within that space. In my view therefore, the most fundamental error in Boss’s entire understanding of bodyhood can be found in his statement that ‘The human being completely loses his awareness of his bodyhood as a physical body just when he is acting most humanly’ [my stress] and implies a few pages later that awareness of bodyhood (for example of painful sensations) is a fundamental characteristic, not of health of but of dis-ease. Here Boss fails to see that local or regional sensations of pain, discomfort or dis-ease arise precisely through lack of awareness of one’s body as a whole, along with which goes a lack of awareness of both one’s self and world as a whole – and thus an essential lack of ‘health’ itself as ‘wholeness’. Furthermore, his use of the term ‘physical body’ also indicates a failure to draw, as Heidegger did, a fundamental distinction between the ‘physical body’ on the one hand (Körper) and the subjectively ‘felt body’ or ‘lived body’ (Leib) on the other – the latter being something distinct in principle from what what Boss calls ‘awareness of bodyhood as a physical body’. The practice of biomedicine aims at eliminating awareness of all localised bodily sensations that the patient complains of as ‘symptoms’ – pain in particular – whilst not in anyway seeking to make the patient become more aware of how they are feeling their body, self and world as a whole. Yet only through such an intensified and enhanced awareness can the patient attune himself more closely to the underlying, non-local ‘mood’ of dis-ease which pervades this feeling awareness of their body, self and world as a whole, lending it a specific shape, tone and texture undetectable by and invisible to any technical instruments or scans. If a therapist is able to attune to the patient’s dis-ease as an underlying mood – sensing it themselves in an immediate bodily way – then and only then can they be said to be in truly ‘empathic’ resonance – bodily resonance – with the patient. Then also, with the aid of careful listening and questioning aimed at attaining a greater knowledge and awareness of the patient’s life-world as a whole, can the therapist be of help in coming to understand what aspects of that world the patient’s underlying mood of dis-ease is itself an awareness of. Finally, if the patient is encouraged not only to be more aware of but to actively show their underlying disposition or mood of dis-ease, revealing this mood or disposition more expressively through their face, eyes and entire outward countenance and comportment – and in this way bodying it rather than merely reporting it, representing it in some way or reacting to or from it – then the need to communicate that dis-ease through symptoms, to ‘somatise’ it, will be automatically undermined. We are as much aware of our self and world as a whole as we are aware of our bodies as a whole. It is sustained bodily awareness and not bodily unawareness that makes us capable of relating to and perceiving others in a truly wholesome, healthy and human way – which means a fully embodied way – aware of both self and other as ‘some-body’ and not just as ‘some-one’. It is a sad paradox that many physicians seem to be amongst the least capable of sensitively receiving and perceiving the patient as ‘some-body’ rather than just as a ‘talking head’, and the least capable also of using their own bodies to sensing and responding to the patient’s felt dis-ease with their own bodies – rather than checking out the patient’s body with technical instruments or tests. Heidegger emphasises strongly that ‘We hear, not the ear.’ Yet ultimately it is not, as Heidegger suggests ‘we’ who perceive or are aware at all, implying as this does some sort of pre-given self or ‘subject’ of awareness. Instead ‘there is’ (Es gibt) an awareness of perceiving – and of experiencing in all its dimensions. Similarly there is an awareness of body, and an awareness of self and world. This awareness of body, self, and world cannot – in principle – be reduced to a property, capacity or causal effect of any self, body, being or phenomenon of which there is an awareness. Hence the fundamental and yet decisive ambiguity that is concealed by the term ‘self-awareness’. The ambiguity arises from the fact that this term can be understood as referring either to an ‘awareness of self’ in the genitive sense of this ‘of’ i.e., an awareness belonging to that self as a subject. Alternatively, the phrase ‘self-awareness’ can be understood as referring to a primordial awareness ‘of’ self in the non-genitive sense of this ‘of’ – an awareness that cannot, in principle, be seen as belonging to or ‘owned’ by any self of which there is this awareness. Recognising Gewahr-sein as the primordial ‘there-is-ness’ or ‘there-being’ (Da-sein) of awareness as such – an awareness that cannot be the property, function or capacity of any being or body, self or subject, psyche or ego there is an awareness of – is the central and decisive key to rethinking Daseinsanalysis as Gewahrseinsanalysis. It also offers a clear explication of Da-sein in its subjective-phenomenological character, as an open ‘field’ or ‘clearing’ for ‘receiving-perceiving’. For the essential spatiality of Da-sein is a spacious field of pure awareness – one in which alone all phenomena can emerge (phuein) and come to light (phainesthai). This basic Principle of Awareness has at the same time the most immediate relevance and benefit as a Practice of Awareness. For it allows us to remind ourselves that the pure awareness of a thought or emotion, mood or sensation, urge or impulse is not itself a thought or feeling, mood or sensation, urge or impulse – that pure awareness is distinct in principle from any such elements of our subjective experience – to any phenomena or ‘contents of consciousness’ of which there is an awareness. Through the ingrained linguistic habit of thinking or expressing our lived experience in the form of such phrases as ‘I am aware of this’, ‘I think this’ or ‘I feel this’ the egoic subject represented by the pronoun ‘I’ immediately substitutes itself for the Da-sein or ‘there-being’ of an awareness that simply is – instead appropriating all there is an awareness of as its ‘own’ experience. As a result of the egoic subject or ‘I’ appropriating all experiencing for itself and as its ‘own’ – rather than letting itself be appropriated or ‘enowned’ by a pure awareness of that experiencing, there arises a state of identification (‘I-dentification’) with the realm of experiencing as such and/or with dominant or specific elements of that experiencing. No distinction is made between the pure awareness of experiencing and what is experienced, between consciousness as such and specific contents of consciousness. And yet this fundamental distinction is particularly significant in relation to the experience of dis-ease – for example of disturbing or painful thoughts, feelings or sensations. For the simple recognition that the pure awareness of sorrow is not itself anything sorrowful, that the pure awareness of anxiety is not itself anything anxious – or that the pure awareness of pain is not itself anything painful – is in and of itself innately freeing and thus healing. This healing hinges on a substitution of the first person subject pronoun ‘I’ with a third person pronoun ‘IT’. When we can restore a sense that it is not ‘I’ but IT that experiences ‘this’ – understanding this IT as nothing but awareness a such – then the ‘there-is-ness’ of this awareness is recognised as the open or ec-static heart and truth of Da-sein. This Da-sein is no being and no thing that is ‘yours’ or ‘mine’, but a universal and all-embracing Gewahrsein – one that Indian thought alone conceives as the very essence of the divine. As Gewahrseinsanalytic medicine, Existential Medicine thus also constitutes a decisive reversal of Freud’s psychoanalytic maxim that ‘Where IT was, I shall be’ (‘Wo Es war, soll Ich werde.’). It replaces this egoic motto with the mantram that ‘Where ‘I’ was, IT is.’ This ‘IT is’ is also a translation of the German ‘ES gibt…’ (‘There is…’). Understood in this light, Freud’s ‘Es’ or ‘It’ is nothing that can be called ‘unconscious’, but is rather the very essence of consciousness as such – recognised as pure awareness. Freud’s ‘Es’ (‘It’) was a term appropriated from the ‘das Es’ of Georg Groddeck – author of ‘The Book of the It’ and the pioneer of psychoanalytic and psychosomatic medicine. Heidegger, M. (1966) Discourse on Thinking Trans. Anderson, J.M. & Freund, E.H.